This is the Privacy Notice of The University of Chicago, Center for Continuing Medical Education (CME). 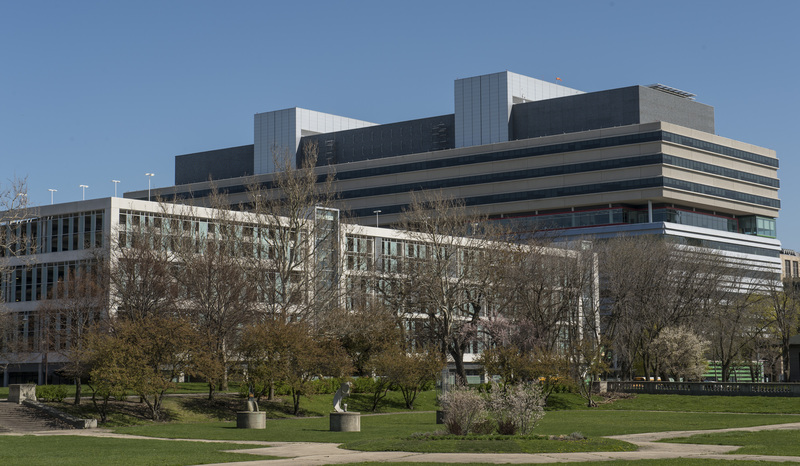 The University of Chicago, Center for Continuing Medical Education is committed to safeguarding the privacy of personal information it collects through the collection of course registration and evaluation data collected from you. This Privacy Notice describes our practices on the collection, processing, use, disclosure and storage of information about you. When you submit your information to us, use our websites and other services, or when we receive information from third parties about you, your information will be handled as described in this Privacy Notice. If you do not agree to the terms of this notice, please do not provide your information or otherwise use our site and/or services. The Center for Continuing Medical Education will use information that you provide to us, including your name, address, and demographic information we collect for managing and reporting on your CME activities. When you register for a course, the Center for CME will collect enrollment and performance data (quizzes, surveys, etc) for use in awarding credit, outcomes measurement and for display on your transcript and certificates. This data may also be transmitted to credentialing boards. We may email enrollment and completion confirmations as well as reminders about learning activities. We may email or call you for questions related to your course enrollments. Your information may be used for marketing additional educational activities to you. You may have the option to use text messaging to record attendance in educational activities. If so, you will receive confirmation text messages from the system. In addition, the University may process your information in furtherance of other legitimate interests, such as (i) to analyze and improve our learning management process, (ii) for outreach efforts, (iii) to conduct educational outcome analysis, (iv) to fulfill other University and/or Accreditation (ACCME) responsibilities or purposes or (v) to provide services to you. Lastly, in certain instances, we process your aggregate registration information (stripped of any data that could be used to identify an individual) to facilitate the enhanced profile of learners so as to provide appropriate and relevant CME activities. Aggregate information from the evaluation is used solely to assess the quality, scientific integrity, and objectivity of the activity, and the clinical relevance of the activity to the users’ clinical practice needs. If we seek to use or process your information for a purpose not outlined in this Privacy Notice, we will request your prior consent as appropriate. Where we have sought, and you have provided, your express consent for a particular purpose, please note you have the right to withdraw your consent at any time by notifying us at the contact information above. We may collect credit card information from you for the collection of registration fees. A reputable third-party financial institution handles our credit card transactions. Whenever you transmit credit card information through our site, the numbers and letters are scrambled using encryption technology to protect the information from being stolen or intercepted. To protect your security, we do not allow you to store your credit card number from session to session. Research and Studies. We may share your information with third parties that study learner outcomes and performance and/or other topics related to higher education. We may also share your information with third parties that conduct research or develop products or services designed to improve course offerings and other higher education functions. Analytics. When using the site we may collect anonymized information about your browsing through Google Analytics or other analytics tools to help improve site design and performance. You may opt-out of this using your browser's privacy settings. Your information will be retained for a period of six years from the date of the CME activity as required by the ACCME, and as provided in the University’s record retention policy, available here. Various jurisdictions grant individuals rights regarding their data, including: (i) the right to request access to you information held by the University; (ii) the right to have inaccurate or incomplete personal data rectified; (iii) the right to erasure of your information, provided there is no legitimate reason for the University to continue to process the or retain the information; (iv) the right to restrict processing of your information in specific situations; (v) the right to request provision of some elements of your information (vi) the right to object to processing of your information, including to send you communications that may be considered direct-marketing materials; (vii) the right to object to automated decision-making and profiling, where applicable. All requests to exercise any of these rights should be made to The Center for Continuing Medical Education at the contact information above.